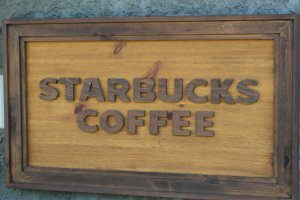 Starbucks Japan has exploded since originally launching its first coffee shop in Ginza in 1996, with now well over 1,000 stores across the country. 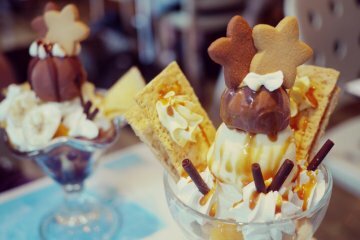 Whilst the coffee chain is particularly well-known for its seasonal drinks and merch unique to the Japanese market—like Sakura-themed tumblers and Frappuccinos—some of the stores also deserve special attention. 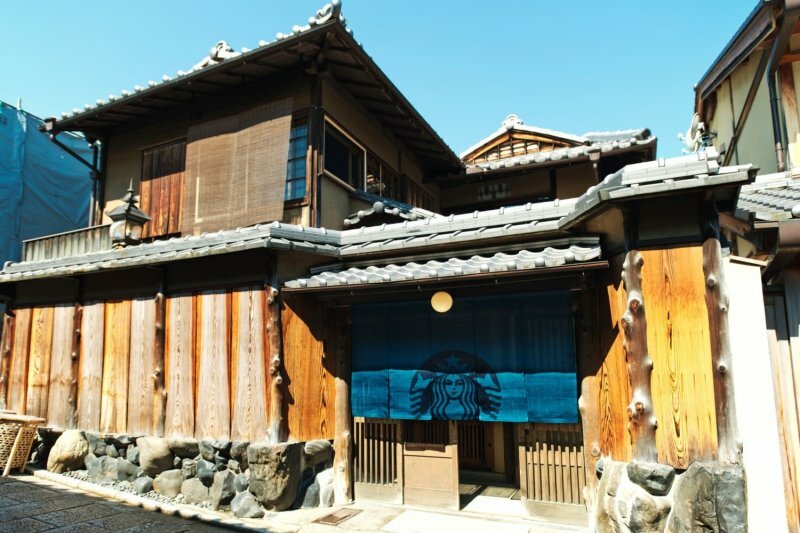 Whilst most of them perhaps arguably don't deserve a second look, when it comes to locating in traditional areas or cultural districts, Starbucks Japan has done a great job of harmonising their concept store design with the local culture and traditional symbols. 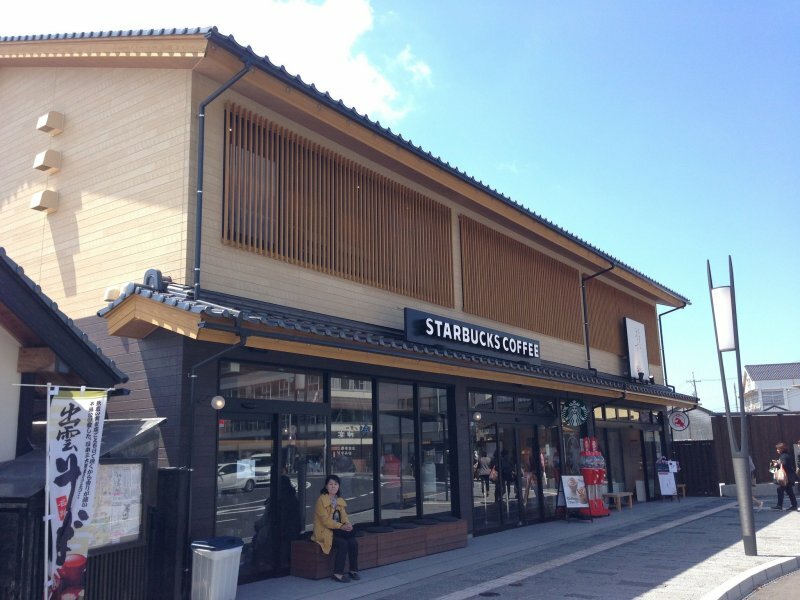 Designed by world-renowned architect, Kengo Kuma, Starbucks Dazaifu is located along the main street leading up Dazaifu Tenmangu Shrine, in Fukuoka. The architecture here is nothing short of astonishing – over 2,000 wooden cedar batons are interwoven into lattice structures using traditional kigumi woodwork techniques (interlocking joints). 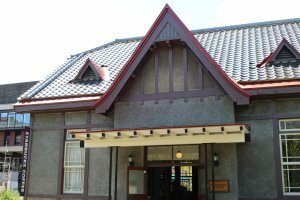 This Western-style building in Kobe's Kitano district is a registered Tangible Cultural Property originally built in 1907, as the Kitano Monogatari-kan for an American resident, MJ Shay. 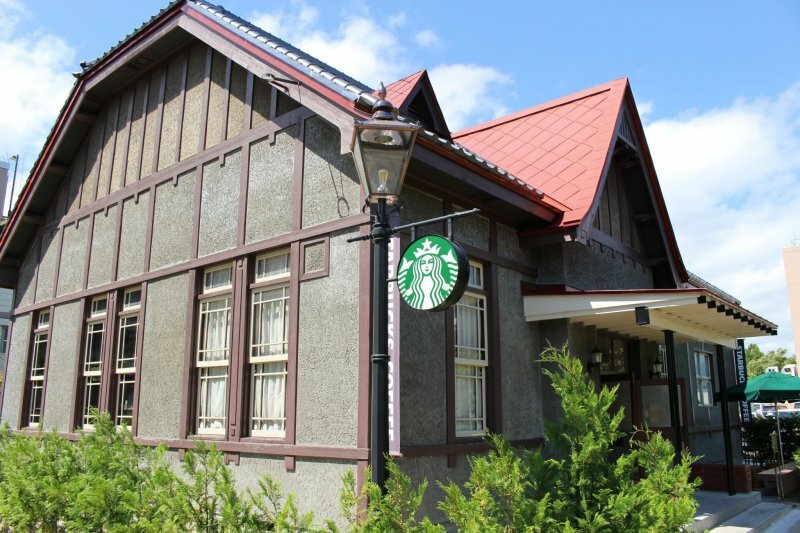 During the 1995 earthquake, the premises became damaged and destined for demolition, but the structure could largely be preserved when it was transferred to its current location in 2001, before becoming a Starbucks in 2009. Opened in March 2018, this Kawagoe branch on Kanetsuki Dori is within spitting distance of Kawagoe's primary landmark, the Toki no Kane bell tower. As is expected for Kawagoe, the store blends seamlessly with the area's Edo-era aesthetic, with Kawagoe typically referred to as Koedo—little Edo—for its resemblance to a bygone era. The interior's tones pay homage to the region's Kurazukuri heritage. Occupying a building registered as a Tangible Cultural Property in 2003, this Aomori Starbucks is located opposite Hirosaki Park. 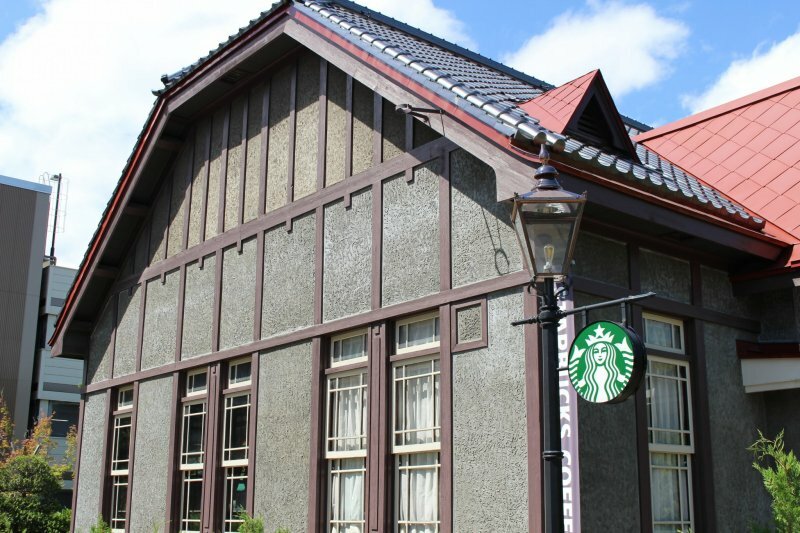 Exuding a Taisho era ambience, the original property was built in 1918 as the Daihachi Dancho Kansha – an official army residence, before finding its way to its current location, opening as a Starbucks in 2015. 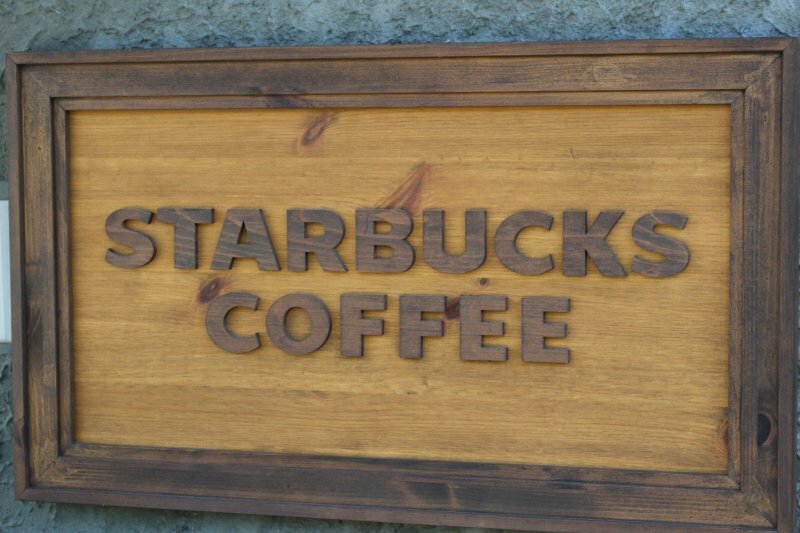 True to Starbucks tradition of harmonising their stores with local culture, several elements have been preserved, such as the doors, and there is a nod to local inspiration, be it Tsugaru Kogin-zashi embroidery or light fixtures made in the local Bunaco-style, using beech wood from the abundant forests of Tsugaru's Shirakami Sanchi. Located at the southern tip of the Izumo Taisha shrine complex just across from the entrance, this Starbucks in Shimane is endowed with an impressive wooden lattice design adorning the facade's second-floor windows. The interior also provides several nods to Shinto inspiration, including wooden tables shaped like traditional magatama beads, lighting designed with the shrine's shimenawa (woven rice straw ropes), and a gable roof design that evokes the traditional Shinto style that is so dominant in the area. 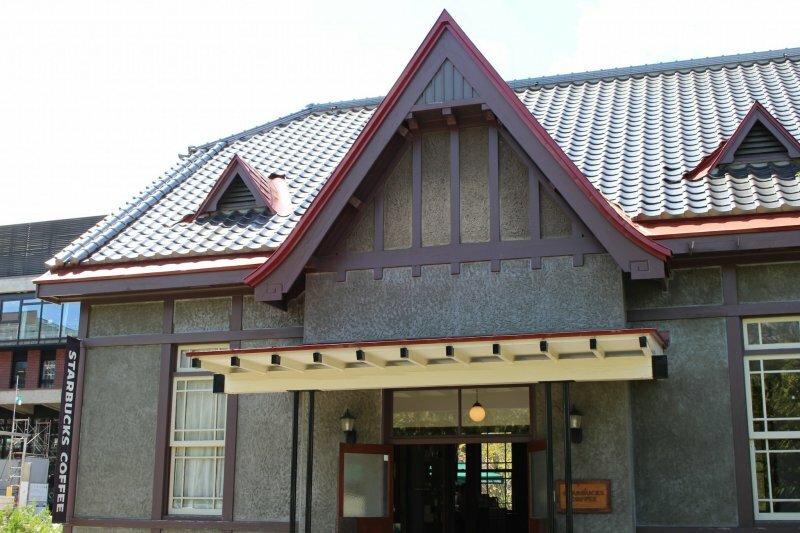 Just a few minutes from Kamakura station, the location here is popular with artists, being the former residence for manga artist, Ryuichi Yokoyama – some of whose artwork is now proudly on display. This Onarimachi store's design is dominated by wood and glass, with the high ceiling providing an open, spacious interior. Outside the veranda provides tatami mats for guests to unwind and relax, in view of the pool – which hints at the lifestyle of the area's former owner. 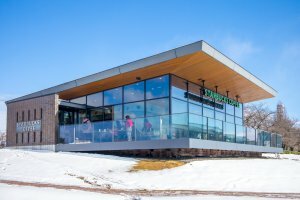 Located at Toyama's Kansui Park, this unique Starbucks store provides great views of both Fugan Canal's waters and the nearby Tenmon-kyo Bridge. 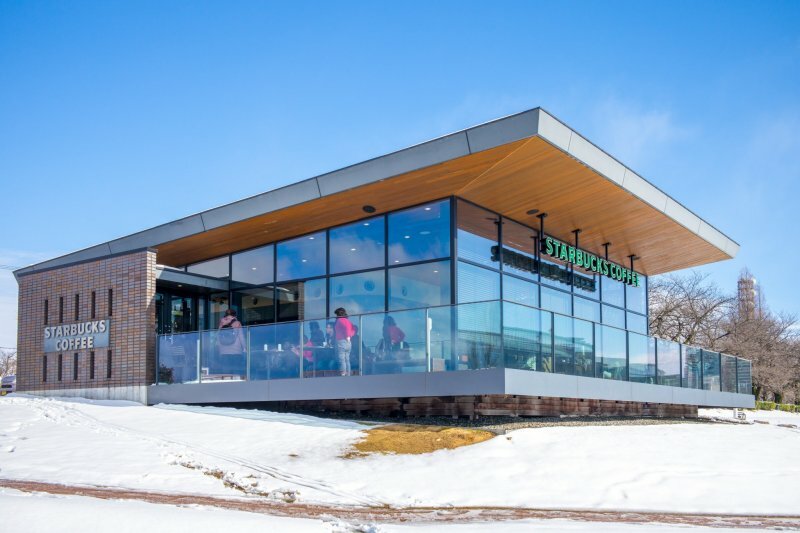 Its glass-walled design helped it win the '2008 Store Design Awards' – quickly christening it the 'world's most beautiful Starbucks' at the same time. The award-winning store is a natural rest point for Kansui Park visitors, and is located just a 10-minute walk north of Toyama station. Located in Kyoto's historic Ninenzaka district to the east, this traditional-looking store opened back in 2017 inside a 100-year old traditional townhouse, proving to be the first store globally to offer tatami floor seating. 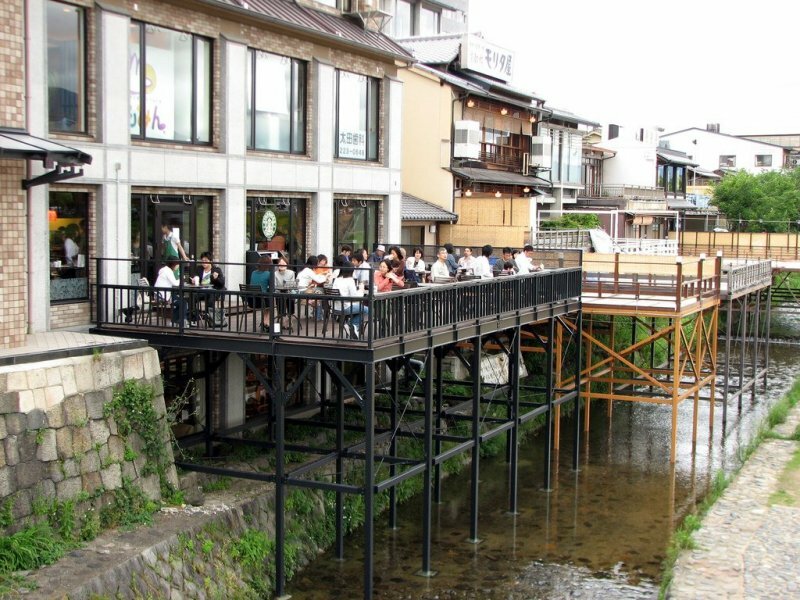 It is perhaps one of the best examples of Starbucks attempting to preserve everything about the original structure and harmonise its design with the local Kyoto environment. The entranceway is dominated by a traditional blue noren curtain, and this structure is the only remaining one on this street to retain its original walled-fence (daibei). The ground floor offers a bar counter and inner courtyards complete with Japanese gardens, while the second floor leads to multiple rooms with tatami mat flooring and zabuton cushions for guests to relax. 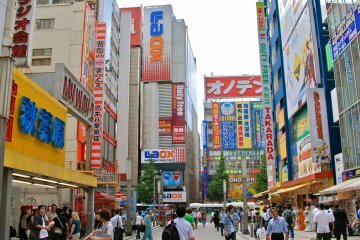 Perhaps a sneaky entry into the list, there's no denying this unique Starbucks naturally draws Shibuya newcomers who are looking for the ultimate view over the district's legendary scramble crossing. It's almost a rite of passage to take a break here while people-watching at the busy intersection below during the evening rush hour under the neon glow of Shibuya's digital billboards. 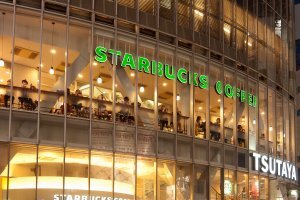 What is your favourite Starbucks in Japan? 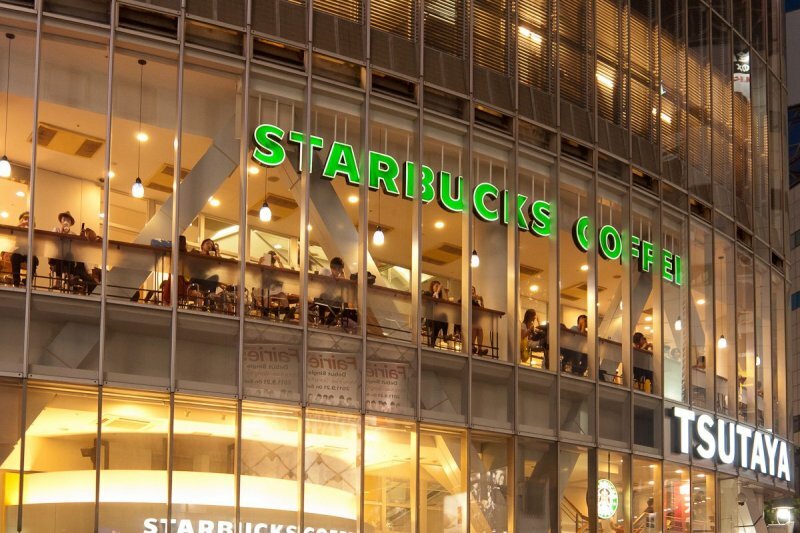 Do newer additions to the Starbucks franchise, like the world's largest Starbucks Reserve Roastery that opened in Naka-Meguro in March 2019, warrant adding to the list? Let us know in the comments. Only have visited the Starbucks in Shibuya.. 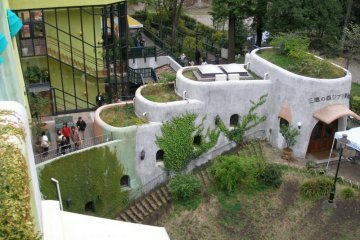 There's also one in Omotesando that has quite a unique rooftop garden! Would love to visit the traditional looking one in Kyoto. 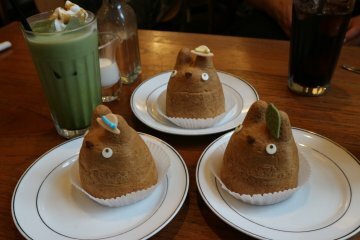 I'd say the store at Uji Byodoin Omotesando is another honorable mention. I've passed by some of these architecturally interesting Starbucks. Some convenience stores have gone traditional, too, like the 7-11 on Narita-san's Omotesando. Yes! There's a Family Mart near Ise Shrine that looks like an Edo period building from the outside, too. I've been to quite a few on this list! I love the ones that do their best to blend in with the surroundings, or have nods to traditional architecture.